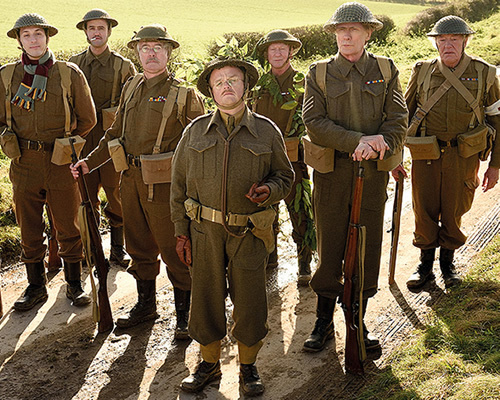 A remake of the classic 60s/70s comedy Dad’s army hits the big screen in 2016. It will be the first time since 1977 that the characters have been brought to life and 1971 since they were on the silver screen. Who exactly is this film aimed at? 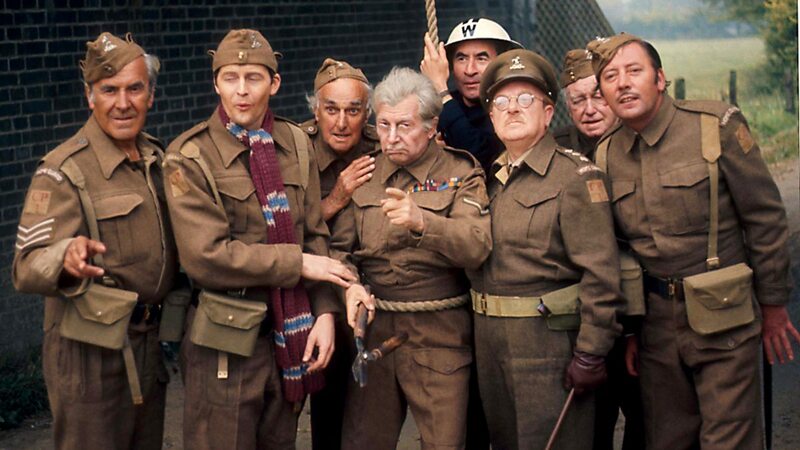 For my generation (in their 30s) and above – the characters played by Arthur Lowe, Clive Dunn and John Laurie are etched into our psyche through the endless re-runs – and because their characterisations were just so brilliant. Having watched the trailer – the humour is definitely aimed at 40s and above – maybe even 60s. I’m tempted to suggest it’s the kind of humour my gran would appreciate – but as she is now in her 90s, in an old folks home nurturing a Annabell doll like its the real thing – she has actually out grown this kind of comedy. And so – the danger for this film is that the target audience – simply won’t be able to live with these imposters who are impersonating their beloved Walmington characters – reading out lines which are tired and obvious. Private Fraser got it right when he cried “DOOMED, we’re ALL Dooooooomed” – because I can’t see this film going any other way. What are those behind this film hoping to achieve? Was the original not funny enough? Was there a new storyline that desperately needed to be told? 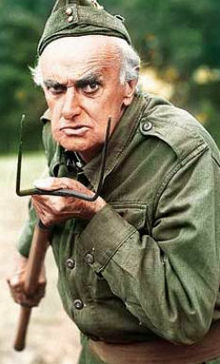 The original series itself comprised of 80 episodes. A new audience? Doubt anyone under 50 will find it funny – and those over 50 will struggle to get past the fact that Arthur Lowe and Ian Lavender played their characters so much better. No, I can’t think of any reason why anyone would want to bring this back – other than as a vanity project to a group of people who hope to make some fast cash off the back of what was one of the best written and acted sit coms of the 20th century. They won’t be getting my cash. Whoever signed over the rights – should hold their head in shame. John Cleese famously said that he would love to do a final “Fawlty Towers” – but feared that to bring it back may tarnish the greatly love series because the idea and execution may not be strong enough. 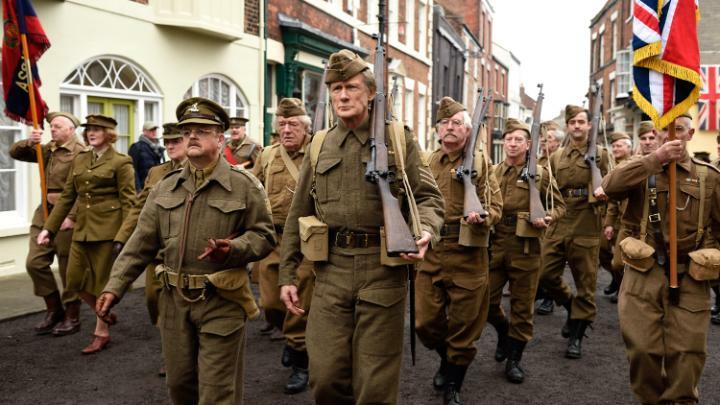 Obviously, no such worries for Dad’s army who can’t care about its history and preserving its authenticity. Just want to indulge themselves into thinking that they can still “pull it off”. Well you can’t. It fitted into a time and a place – which has gone now. Get over it. I know you shouldn’t just write something off without seeing it. Well, I’ve seen the trailer – and if that 2min & 30s is some of the best bits – I can imagine what the rest will be like. Also, I get annoyed because there are so many great film projects that struggle to get the cash and fail – and then along comes this fat walrus of a production – to eat all the fish. Frankly it annoys me. Starring Bill Nighy, Catherine Zeta-Jones, Toby Jones, Tom Courtenay, Michael Gambon, Blake Harrison, Daniel Mays, Bill Paterson.